First of all, the popular method of killing death row inmates has been by lethal injection. That means deadly poisons are injected into the body which race through the blood stream to all parts of the body. Those precious livers and kidneys are working overtime to try to cleanse the body of all that poison while the prisoner goes into his death throes. Would anyone really want to receive organs laced with poison? The alternative would be to take the desired organs from the inmates before they are dead. That brings to mind a relatively gory scene of a half-naked body-painted priest standing over the victim, cutting out the heart as he or she lies screaming on a blood-stained altar. Could we stoop so low? Or have we ever risen above the level of the cultures that performed these types of “religious” ceremonies no more than 500 years ago? If we are supposed to be civilized, why are humans still murdering one another for whatever the reason? Since we do seem to be bent on reviving the death penalty in the United States, there is yet another strong reason why ripping the heart, lungs and other organs out of a just murdered death row inmate is not in the best interest of the potential recipient of those organs. It is called cellular memory. Patients who have received other people’s hearts or other organs have consistently reported strange new patterns of memory and sometimes even discovered new interests in music, reading or hobbies. Studies have discovered that these personality changes appear to be from the cellular memory transplanted from the dead donor to their living bodies. It is believed by some that every cell in our body is an individual living organism and the cells are in constant communication with one another. This would explain why new personality traits and talents sometimes get implanted with the organs taken from others. If this is true, receiving the heart or kidney yanked from a death row prisoner at or just following the moment of his murder has the potential of transplanting memories of horror and suffering . . . not only from the death experience, but from whatever lifetime event that caused this person to end up in death row. We suppose that a person facing the choice of receiving such an organ or facing his or her own death in a ghastly modern hospital room setting might want to take a chance on the transplant anyway. We must question this whole concept of organ transplanting. 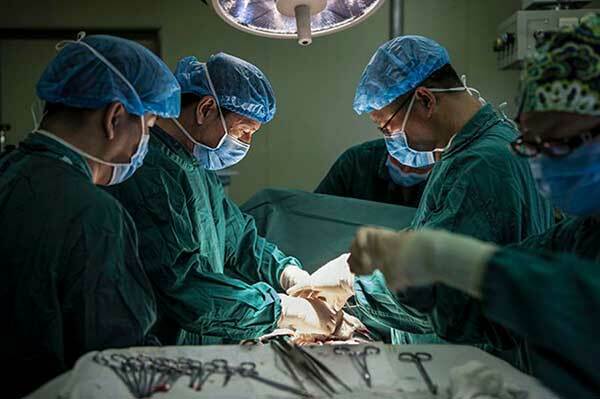 The medical industry has been successfully transplanting organs ever since Christiaan Barnard successfully dropped a living heart into a South African patient in 1953. However, the recipients spend the rest of their lives gulping pills designed to fight off their body’s natural rejection of the strange organ in their bodies. And at best, the extension of their lives is usually not long enough to have made the cost in terms of money spent and personal suffering worth going through. Barnard’s test patient, Louis Washkansky, lived about two weeks on the implanted heart before he died. The only winners in the transplant business are the doctors, the supporting medical industry, and often the lawyers that get involved.